The design process was one of our favorite parts of building our dream home. Kevin and Rich listened to our input and helped us to create a floorplan that really works for our family. The plans were very well thought out and planned down to the tiniest detail. They were open, along the way, to modifications based on our suggestions and the final product is a unique home that was custom made just for us. The contract that we signed contained very detailed pricing line by line; leaving no ambiguity as to what was included and what were upgrades. Any additional on-site services were invliced and approved prior to work starting. Our project manager, who I feel made this entire process as smooth as it could be, was very responsive and patient along the way. Some delays naturally occur, but he was communicative and very aware of our timeline restraints, and did his very best to keep the project on track. He was personally accountable for the work being comleted. Very easy to get in touch with, as well as the other Coastal Modular Group Staff. Responsive to emails and calls. Even after construction, when our pipes froze, they were very receptive in helping us get our hot water back on. The inspection proecess and obtaining the Ceriticate of Occupancy was seamless and a hurdle that we cleared easily! I've included a picture of the kids enjoying their first Christmas in the house! "The design process was one of our favorite parts of building our dream home. Kevin and Rich listened to our input and helped us to create a floorplan that really works for our family. " My house was destroyed during Super Storm Sandy. After being turned down by several builders we met with Kevin and Rich from CMG (Coastal Modular Group) who stood by us and helped rebuild our shore home. Never being in this situation of building a home, they worked with us every step of the way. It was amazing how they put everything into the computer and came up with a design to our liking - including a small back deck and a covered front porch. They gave us estimates on building a modular home and "stick built" home and offered us a non-biased opinion on the direction we should go to keep costs in line. We ended up site building the house and saving money as a result. We liked that they had two divisions and did not push us into either direction but rather presented the options two us and offered their opinion where we needed it. Since we were going up over 10 feet we will now have a lot of extra room underneath. They stayed within our price and broke down each step and payments due time. Everything was included in our price that we agreed on (from permits to certificate of occupancy). If we made an upgrade they always kept us informed of the price change. Each time we would call we got an answer pretty fast or next day if they had to check on something. Even if we stopped in the office they always made time to hear our concerns and always made us feel like family. 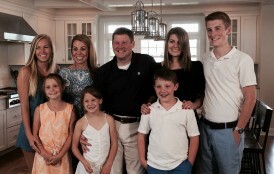 They are a great group of family oriented people and a pleasure to work with. We are slowly moving in and enjoying our home. Thanks CMG for helping us rebuild. "They are a great group of family oriented people and a pleasure to work with. We are slowly moving in and enjoying our home. Thanks CMG for helping us rebuild. David & Kathleen Boyce -Ortley Beach"
Point Pleasant Beach - Back Home! All of the planning, designing and building is now complete and we have finally moved into our beautiful new home. Thank you to the entire team at Coastal Modular Group for helping us every step of the way. From our first phone call, to your office after Hurricane Sandy, and all our hurdles with RREM until receiving our final CO. Your process was very open and welcoming with the added bonus of the factory tours. We appreciate all the time spent in meetings going through the entire design process. Kevin was always very patient with all my changes and questions. You guys also took one of the most stressful parts of any construction project, "Budgeting", and were able to break it down so we could see right where we were at and keep on it. During the construction we always got fast response to any questions or concerns either through co-construct, email or phone. Co-construct was an excellent way for us to stay up to date and a big help to me while purchasing the finishes for the house. Now that we are moved in there have been a few minor issues to be addressed and Coastal Modular Group has been quick to send out the contractors resolve them. "We appreciate all the time spent in meetings going through the entire design process. Kevin was always very patient with all my changes and questions." Beach Haven West - Back Home! 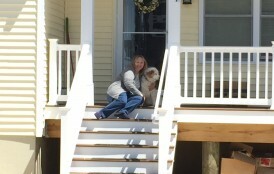 In 2012 I lost my home in hurricane Sandy. After an awful experience with our first builder, and two years of delays and setbacks, I came to Coastal Modular Group. I met with Rich and Kevin and was immediately put at ease by their warmth and professionalism. They broke everything down and helped me choose the design elements that would fit my needs and budget. During the whole process they made themselves available for any questions or concerns via email, phone, and the customized project website. I received a provisional CO and was able to move back into my house in January of 2016. Since then the CMG team has made contact with me on a regular basis to make sure I was completely satisfied in my new home and to take care of any needed final touches. As of March 2016, my final CO was approved by my municipality. I can’t express how grateful I am to the team at Coastal Modular Group. They are true professionals, but more than that, truly caring people who helped me get through a truly difficult time. "After an awful experience with our first builder, and two years of delays and setbacks, I came to Coastal Modular Group. I met with Rich and Kevin and was immediately put at ease." After buying a house mostly destroyed by Hurricane Sandy, we fixed it up to live in, while we determined what we wanted to build. After reviewing all the options and meeting with countless builders and modular companies, we decided on modular and specifically Coastal Modular Group. They were the most flexible in design as we didn’t want cookie cutter and they were willing to go above and beyond in helping us design the perfect house for our family. Kevin was amazingly patent with us as we went thru version after version of redesigns. We locked down a design and got pricing. Then it all changed. We spent a little time in one of our neighbor’s houses which completely made us rethink how the first floor should be laid out. After about 15 minutes on the phone with Kevin asking if this was possible, the immediate answer was, of course. And more time and effort was expended by Kevin to help us redesign the house which in the end turned out absolutely perfect. Demo, pilings, deliver, set all went smoothly. Weather effected some of the exterior work as we had siding, flooring, bathrooms and kitchen all done on site. Delays are inevitable in construction projects, but the communication between us and Coastal Modular Group was terrific. Almost daily communication on what was being done, what decisions we had to make and timing of all. Having them local and so accessible was great for us as meetings were easy to schedule and face time was easy to get. Even when issues arose, each was handled with professionalism. I will readily admit I’m a tough customer to deal with and they were patient beyond compare. Building a house is always a challenge as so many decisions have to be made, but with the modular process almost all of the decisions are made upfront. A suggestion I would make to future customers is to take your time. Every outlet, switch, light fixture, plumbing fixture all have to be decided on early and during the design process. We got about 99% of it right during the design process which I take as a big win and due to Kevin being so thorough. A major bonus for us was working with Diana as well. She was on top of every detail, was ultra communicative and responsive to any issue that arose. Even now, after being in the house for 9 months when any little issue comes up, they are quick to handle and resolve. I can’t say enough good things about the quality of the product and the people at Coastal Modular Group. Having lived in old homes most of my life and built several new ones as well, this is definitely the best way to go for new construction. The time savings was incredible and the cost savings immense vs. traditional build. Our house was completed, soup to nuts in 6 months from the day it was torn down to the day we were living in it. There are several that were started around us at about the same time and they’re still under construction today – 15 months later. "After reviewing all the options and meeting with countless builders and modular companies, we decided on modular and specifically Coastal Modular Group. They were the most flexible in design." 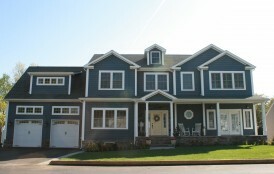 It was a lifelong dream to have a home at the Jersey Shore where we vacationed as kids and young adults. We wanted an even better experience for our children so Luisa and I finally made the plunge (after a lot of convincing and persuading from me) and we purchased a small cottage in Mantoloking, NJ 2 summers prior to Hurricane Sandy. Unfortunately, the next part of our story was more complex than we ever expected as our home was substantially damaged by the storm. It was a tremendous effort to navigate the process of insurance reimbursement, home building (modular vs stick built) and trying to understand HOW to actually go about any of the processes with the township and state. After interviewing 4 different builders I had the opportunity to meet with Rich and Kevin from CMG. From day one they were very knowledgeable, flexible and most importantly -- very transparent. They were great listeners and even better communicators with providing guidance on what we should and should not do based on budget, timing and expectations. It was also a challenge for us to manage the building of the house while not being able to be there frequently to check on everything and act like a pseudo GC; however, it made it quite simple with the help of Matt, Kevin and Rich. Their technology and communication methods made it really easy as they kept us abreast along the way with illustrations, actual images, timeline updates and schedules. We always knew exactly what was going on with what was happening on what day…tremendous! On time, on budget and exceeded our expectations for the outcome of the house. They still keep in touch with us post CO to make sure everything is ok and that is one of the best things I can say about CMG…they are all about the customer being first and professionalism. We absolutely recommend them to anyone looking for a modular or stick built home. 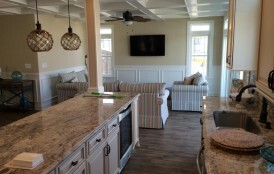 "It was a tremendous effort to navigate the process of insurance reimbursement, home building (modular vs stick built) and trying to understand HOW to actually go about any of the processes..."
Coastal Modular Group brought our dream into reality. We built our ‘forever’ home to raise our children. We chose CMG for their attention to every detail and the customer experience they provided. We met with numerous builders and what initially attracted us to CMG was that they really listed to what it was that we wanted rather than trying to push us into a design like every other builder did. We heard horror stories of people dealing with builders. CMG went above and beyond every step of the way and continue that customer service long after we have moved in. 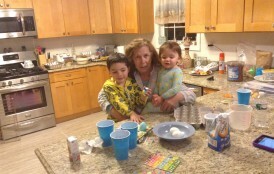 With a growing family we intend to add on and finish other areas of the house and our answer for that work will be CMG. We look forward to continued work with them. We enjoyed the entire experience and love their work. Thank you CMG! "Coastal Modular Group brought our dream into a reality. We built our ‘forever’ home to raise our children. We chose CMG for their attention to every detail and the customer experience. " John and I would like to personally thank you for taking us through a very exciting journey in building our new home on the Jersey Shore. This has been a dream of ours for 15 years. Your experience was certainly a key factor during this time. This was our first time building a home and you held our hand every step of the way. As we settled into our new home we had questions and Coastal Modular Group was there for us. We appreciate all of the help that you have given and continue to give us. The quality of representation and the attention to detail from the beginning of the process to this very day has been remarkable. It has been over a year since we received our CO and you still respond to our inquiries as quickly and efficiently as you did when we were building. As proud owners of a new home, we are very happy with our decision to partner with Coastal Modular Group. We have always been impressed with organizations that take the "family way" approach. Thank you so very much for your dedication to our project and making our dream come true! "Gone Coastal" thanks to Coastal Modular Group!! "Once we met you, we knew that everything we desired in our new home would become a reality. The personal attention that we received from Rich, Kevin and Matt along with the rest of the CMG Team"
Thank you Rich, Kevin, Matt, and Mike. Building a home is not easy, in fact it is downright stressful as can be. Not only is there a lot of money at risk but it is emotionally draining. However, I cannot imagine the process being any easier or better than it was with the CMG team. They are excellent at what they do, and were able to take a lot of the stress out of the process and carry it for us. Our budget was in line with expectations and there were no surprises. There were never any difficult conversations. Every phone call and text was immediately addressed. They cared for our home like it was their own. This company is fantastic! We love our new home and are thrilled with the result. If you are looking to build, call the CMG team. "I cannot imagine the process being any easier or better than it was with the CMG team. They are excellent at what they do, and were able to take a lot of the stress out of the process "